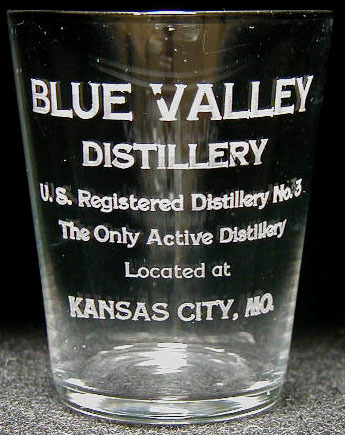 Inscription: BLUE VALLEY / DISTILLERY / U.S. Registered Distillery No. 3 / The Only Active Distillery / Located at / KANSAS CITY, MO. Condition: There is a labelling glitch on the top line (a bubble under the etch prevented it taking) but mint otherwise!